High-end resorts around the world all offer their guests different experiences, whether that’s a water slide park, endless stretches of beach, or world famous spas. There are even a number of resorts so luxurious they’ve been awarded a 7-star rating. So we’ve put together 10 of the coolest resorts around the world and what makes them so unique. On a pristine island in the beautiful South Pacific lies Wakaya Island surrounded by a protected coral reef and bordered by endless white beaches. The ten waterfront villas each have 1650+ square feet of private living space, a secluded garden, personal bar, high ceilings, and luxurious bathrooms with private outdoor showers and oversized tubs. Outside individual hammocks are strung between coconut palm trees. Seychelles is a part of the largest coral reef system in the world. Lying on the waterfront are stunning handcrafted villas each with their own island buggy for guests to roam freely throughout the island. Diving, snorkeling, sea kayaking, fly-fishing and relaxing on the pristine beach are popular activities on the island, as the services are tailored to meet your needs and preferred lifestyle. 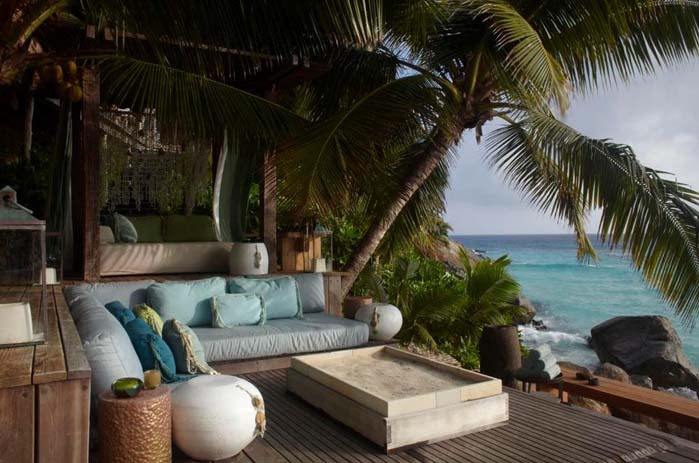 Each villa on this exotic island is influenced by traditional Fijian craftsmanship with a modern touch. The resort only hosts a maximum of 14 couples for the ultimate privacy. There are also seven private beaches on the island that are open to relaxing, sunbathing, or horse riding alongside the crystal clear water. This island prides itself in preserving the native fauna and flora while not only being a romantic destination for a couple, but also families. There are sixteen large villas with marble flooring and one Presidential villa where guests can experience the rare luxury of space and serenity. This resort is located in the area of the island known as Cote Sauvage overlooking the Bay of Toiny and the Caribbean Sea. There are fifteen luxurious bungalows surrounded by lush flora. Guests can enjoy golfing, surfing, fishing and a world-class fitness gym and spa. This resort situated in the Mediterranean seduces you with its historical beauty and interesting ancient Roman ruins. The resort features pool terrace apartments with private swimming pools and outdoor showers. The resort also features a 50m swimming pool, tennis courts, a three-storey library, boutique, art gallery and two deluxe spas. 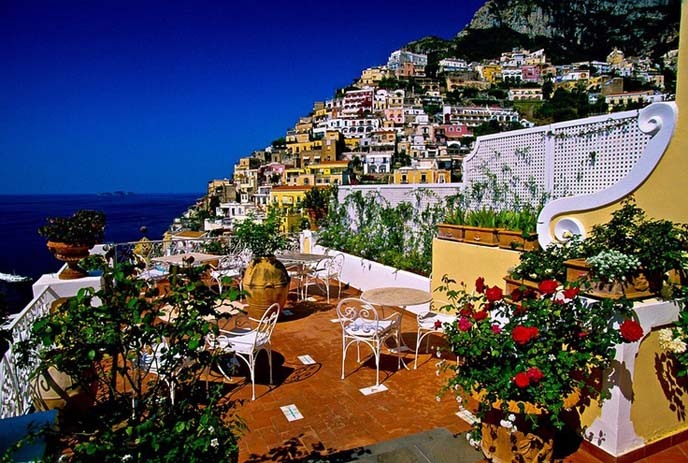 Le Sirenuse is located in picturesque Positano and all of the rooms look over the beautiful bay. Each room has a private terrace and balcony, and the flooring is ornately crafted with handmade tiles. This exquisite resort was architecturally built to resemble a billowing sail. It is just moments away from Jumeirah beach and provides full helicopter transfers and scenic tours. There are six award-winning restaurants within the resort and highly trained butlers at your service. None other than its founder Giorgio Armani personally designed the exclusive residences within the Armani hotel. Each suite consists of the modern and sophisticated beauty that the Armani brand is now associated with worldwide. Modern architecture meets natural aesthetics in this grand resort located on the captivating Vieques Island. Each room has stunning views of Puerto Rico’s glowing bay, lavish mountainside, and the magnificent Caribbean. Luxury at its finest! Get our articles delivered to your email FREE. We help travellers find and explore new places from around the world. Join our community and recieve FREE updates Simply enter your email below and we’ll send you our newsletter.